BBL (Broadband Light) is an innovative technology that sets new standards for skin conditions associated with aging, an active lifestyle, and sun damage. BBL energy allows your certified RN or aesthetician to precisely treat age and sun spots, small facial veins, acne, rosacea, and other skin conditions. Your treatment will be tailored to match your skin type and your desired results. Light energy delivered by the BBL will gently heat the upper layers of your skin. The heat absorbed by the targeted areas will stimulate your skin cells to regenerate new collagen. This process will restore your skin to it’s natural beauty, blending it’s natural coloration and making it smoother, more vibrant and younger looking. 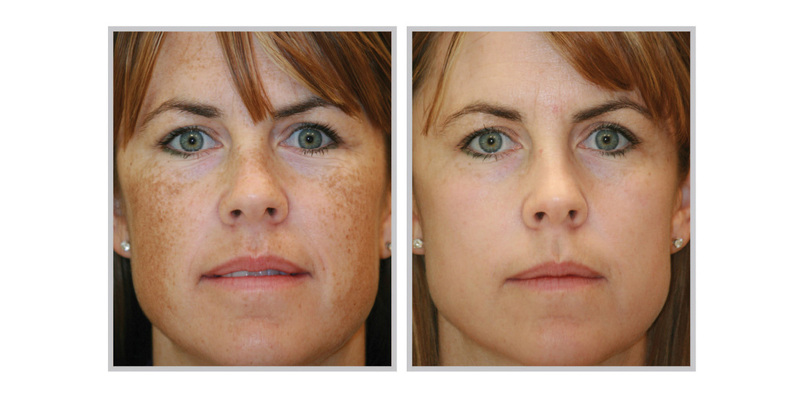 In addition, the photo thermal energy will eliminate fine vessels that cause redness and reduce unwanted melanin that produces pigmented lesions or brown spots. The number of treatments needed will vary depending on the condition of your skin and the level of improvement you desire, but most individuals require 2-4 treatments spaced 4-6 weeks apart to achieve the desired results. Your face will be cleansed to remove makeup. Your eyes will be protected with safety shields or glasses. You may feel a warmth or a small “rubber band snap” sensation as the light is absorbed by the targeted area. Your procedure may take a few minutes and up to a half hour depending on the size of the treatment area. What should I expect after my BBL treatment? Most patients experience some redness that resolves within a few hours. 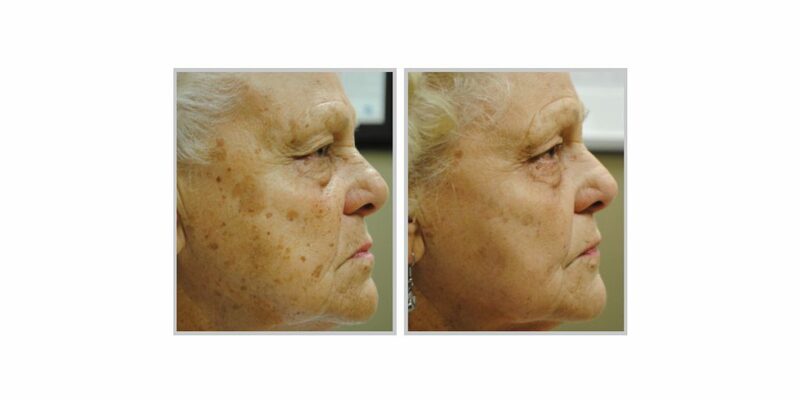 For some pigmented lesions, you will see a darkening or coffee ground appearance of the treated areas followed by a flaking off and fading several days later. Your treated skin will feel smoother, fine lines and pores will be less noticeable and sunspots and hyper pigmentation will fade. Results will depend on the condition of your skin and the number of treatments you have. Post treatment care instructions will be provided to you after your service. 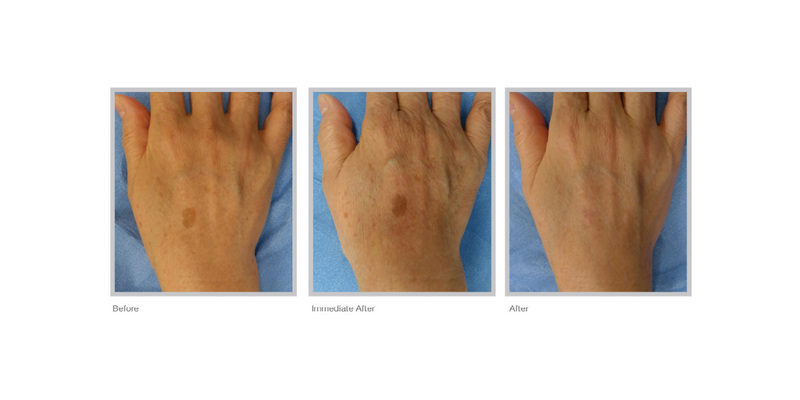 BBL is a gentle noninvasive procedure with virtually no downtime. In most cases, you are able to apply makeup and return to work immediately. It is extremely important to follow the instructions of your service provider. You may be given some skin care products with instructions for how to use them. You will be sensitive to ultraviolet light and you must avoid direct sun exposure until your treatment area is completely healed. Use of a physical sunblock with minimum SPF of 30 is essential whenever you are outdoors.